Current: Less Than A Week To Go till the 2017-2018 Final! Less Than A Week To Go till the 2017-2018 Final! 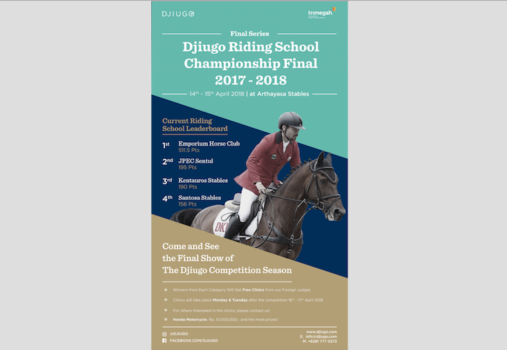 We are officially less than a week to go till the 2017-2018 Djiugo Riding School Final! Of course, this will end the season with a bang! 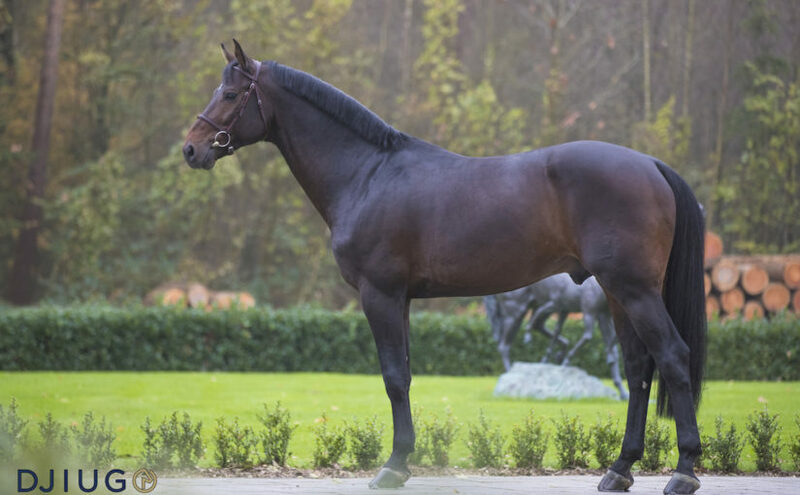 Stay up to date with the latest results and starting lists online as well as at the show. We will provide an LCD Screen with updates from the show to give live results on hand! 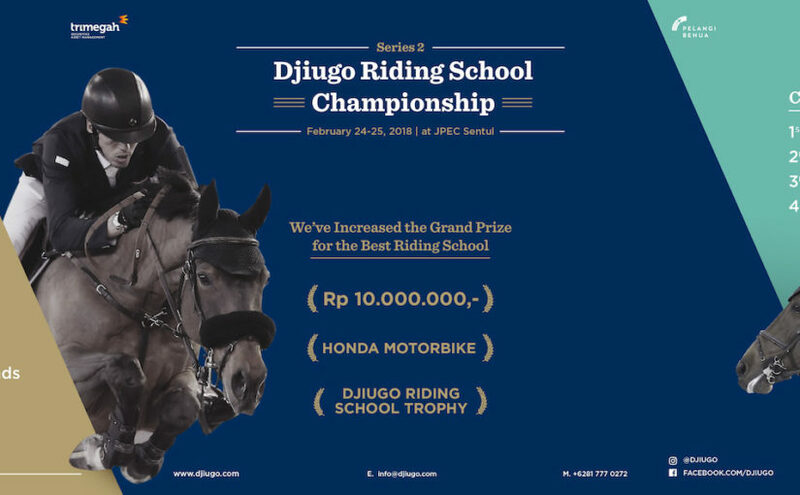 We are lucky to have one of our Indonesian International Athletes ready to give you a full equitation demonstration. During the demo, live commentary on the basics of riding will be available. 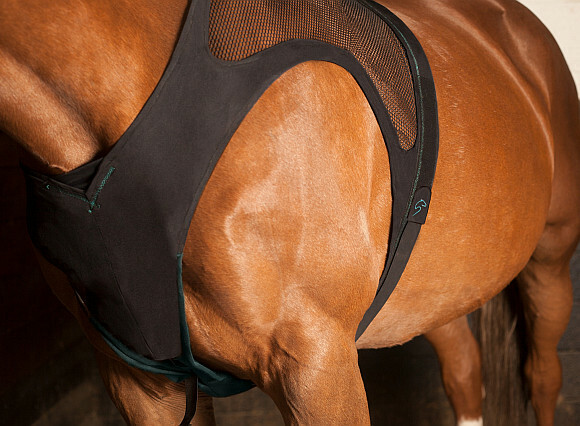 Therefore you will be able to understand better on what Judges look for in an equitation round. If you were present on each of our first two shows, we’ve given away several door prizes for the lucky few. The Final will be no different, many door prizes will be available for those who can answer the questions correctly! So check the app regularly and win awesome gifts from our sponsors! At the end of the show, overall winners of each category will benefit from clinics given by our foreign judges! 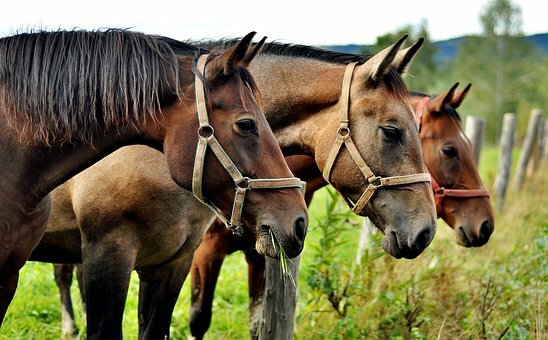 They’ll be able to share knowledge and assist you in becoming a better rider and horseman. For those of you looking to join the clinics, please contact us for full details. So get ready and see you at the Final!